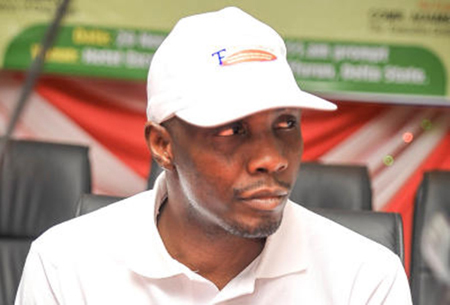 The militant group, Niger Delta Avengers has issued a statement saying the former militant leader, Tompolo is their enemy. He is our enemy as the Nigeria government and those innocent boys paraded as NDA operatives are not part of us. The militant group also called on President Buhari to heed calls of self-determination saying “Mr. President everybody is tired of this thing called Nigeria. The ship call Nigeria is grounded right now and you are so confuse. You lied to your foreign allies, your citizens on daily bases. Mr. President, you even lie to yourself. “Even if we are going to dialogue, it will be in the present of international community. The group also told the Nigerian Navy to stop arresting innocent people and tagging them as militants. They said “From media reports, it is clear Commodore Joseph Dzunve the Commanding officer NNS Delta has lost his sense of Professionalism, how are those innocent boys connected to NDA . We don’t know Prince David and Felix Ebiador they are not part of us. All NDA operatives are intact. No security operative has arrested any of our members. They said “Stop arresting innocent people in the name of looking for NDA operatives. It’s obvious that Nigeria Navy is incapable of policing the Nigerian maritime space. Even the Chief Naval Staff (CNS), Vice Admiral, Ibok-Ete Ibas, made it clear while briefing the Senate that Nigeria Navy is unequipped to match the Niger Delta Avengers. The Niger Delta Avengers also denied reports that it is holding talks with the Federal Government.